Many of Virginia Beach’s homeowners may find alternatives to furnaces for their home’s heat system. However, other home insulation methods and appliances could prove to be more expensive and harder to install or maintain. This is why sticking to furnaces can be one of the best investments for your home. If you can’t figure out whether or not you need a heater repair or a new furnace installation, you can ask the opinions of Virginia Beach’s experienced technicians. At Smiley’s Heating & Cooling, we are dedicated to providing your homes with quality heat system to keep you and your family warm and safe. You might need to replace your furnace if it is considerably older than furnaces’ average life expectancy. The average lifespan of a furnace is between 16 to 20 years. Your furnace may last this long or even longer, but no manufacturer may guarantee that its heating efficiency will be the same. A tip in looking for signs to see if your furnace may be too old is by checking if your furnace has a discolored pilot light. Call us today and have your furnace checked by Virginia Beach’s trained technicians. You might need to replace your furnace if your utility bills are rising due to its increased energy consumption. A substantial increase in utility bills is usually caused by an increase in electric or gas prices. When this is not the case, your furnace can most likely be one of the reasons. If you have been consistently using your heat system at home and notice that your furnace takes a longer time in heating your home than before, it may be time to have it assessed by Virginia Beach’s heater repair experts. You might need to replace your furnace if its burner flame is yellow instead of blue, due to increased carbon monoxide emissions. This sign can be tricky since there are types of furnaces that may not show it. However, if you own a natural gas or propane furnace, it may run the risk of producing carbon monoxide more than the other types. If the burner flame turns yellow, then your furnace could be leaking the poisonous gas. To be sure, contact Virginia Beach’s trained furnace replacement technicians immediately. You might need to replace your furnace if your indoor air quality is being compromised. One of the signs of a poorly maintained unit is a change in indoor air quality. Humidity concerns caused by a failing heat system can be a problem, especially during winter. If you notice the indoor air becoming extra dry, your furnace may be the culprit. Calling Virginia Beach’s experts in heater repair can help you decide whether your home needs a furnace replacement. You might need to replace your furnace if your family members often deal with flu-like symptoms like headache, watery eyes, or runny nose. A failing furnace can cause an increase in the amount of dust, bacteria, and other foreign particles floating in the air within your home. As a result, you or someone in your family may be experiencing frequent colds, coughs, or allergic reactions. The earlier you call Virginia Beach’s trained technicians in furnace replacement, the sooner we can help keep you and your family members in good health. You might need to replace your furnace if it is making strange noises. It can be weird to hear unusual noises like thumps or bangs at night, only to find out that they are from your furnace. Sometimes, other noises can also be caused by your furnace’s blower running excessively. If you experience any of these, it is possible that your furnace is on its last legs. Virginia Beach’s trained technicians can provide you with the best furnace installation for sure. There are instances wherein furnaces may only need repairs instead of unit replacements. A tip to make sure if you need a heater repair or a new furnace installation is knowing the manufacture date of your furnace. You can ask your past contractor for this or check if your furnace still has a manufacture label. If your heater is around or beyond furnaces’ average life expectancy, it is smarter to have it replaced, provided that the price for a heater repair is higher than a replacement. Learn more about furnaces here. There is a benefit in understanding how furnaces’ efficiency ratings can affect price quotes in the market. Among the things that homeowners need to understand when buying or replacing their furnace are efficiency and size. If you have a high-efficiency unit installed in your home, it can efficiently turn fuel into heat while also lowering your energy bills. An oversized furnace has higher operational costs. This is why we suggest buying the smallest and most efficient furnace for your home. There are other insulation methods you can use as an alternative to furnaces, but they can cost a lot. You can keep your house warm and conserve energy at the same time without using furnaces. One alternative to them are boilers or hydronic heat systems. Unfortunately, these have disadvantages from an economic standpoint. Boilers, as well as substitutes like geothermal heat pumps, provide high-quality heating, but they are more expensive to buy, install, and run compared to furnaces. There are several factors that affect the cost of a new furnace installation. The average cost of furnaces and installation fees vary depending on their efficiency ratings. To get your money’s worth when deciding which furnace to buy, pay close attention to different factors affecting furnaces’ cost variation. These factors include furnace warranty, size, air quality, lifespan, and even your home’s layout. A furnace replacement may be the solution, but, ultimately, it is best to have a heater repair expert determine if you need it for your home. For all your property’s furnace or heating needs, there’s Smiley’s Heating & Cooling. There are common instances wherein your furnace or HVAC equipment can be installed incorrectly, costing you more money on additional heating bills. Improperly installed furnaces can not only reduce your furnace’s durability but also decrease its performance and endanger you and your family’s health. This is why furnace installation should only be done by professionals. At Smiley’s, our HVAC technicians can diagnose the problem in your furnace and recommend the right system for your home before it is too late. 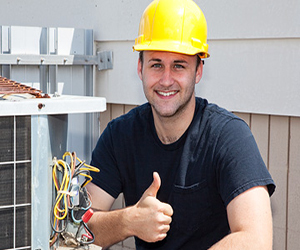 We provide effective furnace maintenance, repairs, and installation services in Virginia Beach at a fair price. Heating repair experts from Smiley’s Heating & Cooling will help you get the value of your money with our optimal furnace replacement and installation services. After all, it is priceless to enjoy a working heat system throughout winter. Do not hesitate to call us to install your new heat system today! Click here to contact us.